Downtown St. Louis City Tour - "tour da lou"
Whether you have never been to St. Louis or have lived here your whole life, THIS is a great way to see Downtown St. Louis. So here's the skinny … This is not your same old walking / bus riding / "are we done yet" tour! We conduct our tours on Elekktric Trikke carving vehicles, exploring the history, architecture, art and sports entertainment areas of St. Louis. You will quickly see why this is OUR MOST POPULAR TOUR!! A 100% fun and 100% clean way to tour the city! Our exceptional guides instruct you on how to properly operate your Trikke, making you comfortable and confident in no time! We provide you with a listening device that allows our guides to communicate clearly with you throughout the tour. 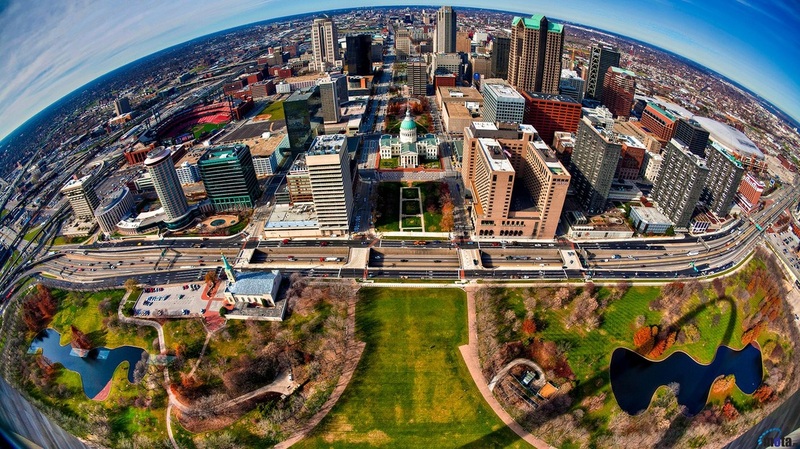 Standing at 630 feet tall, The Saint Louis Gateway Arch in Jefferson National Expansion Memorial Park is St. Louis’ most popular and visible attraction. It's just one of the many sights you will see on the tour as we "give ya the low down on Downtown"! We'll share with you the history of this world class city from its 1764 birth plus all the history and architecture dating back to the 1800's. Along the way, view our vintage photos of “how da Lou used to be”, then see the same sites as they are today. How about carving out over the Mississippi River on the Eads Bridge? We will do it!! *(subject to construction) Other great St. Louis tourist attractions included on this tour are The Wainwright Building, The Campbell House, City Museum & World Aquarium, The Enterprise Center - Home Of The St. Louis Blues, Laclede’s Landing, Peabody Opera House, The Old Cathedral, St. Louis Union Station, Old Court House, City Garden, Busch Stadium - Home of the 11-time World Champion St. Louis Cardinals & the new Ballpark Village and still so much more! This is the most educational AND the most fun tour of Downtown St Louis! Please note: The majority of this tour is operated on the city's sidewalks but there are portions of the tour where we will ride on the streets. In adherence to Missouri's Law regarding the age restriction to ride or operate a Trikke, all tour participants must be at least 16 years old. • Use of Innovative Elekktric Trikke Tribred Pon-e!! Wear comfortable clothes to fit the season and shoes to best enjoy the ride. (Flip flops or high heeled shoes are not permitted). Since you need both hands to operate a Trikke at all times, you are NOT allowed to use any type of electronic device while on the Trikke. No texting, calling, photo taking, email. Nothing! So as an added bonus to your tour, our exceptional guides work hard to take great pictures of your group or family to ensure your safety. With that said, if you enjoyed your tour please tip your guide; he or she is working hard for you to enjoy your day off, vacation or holiday. *With respect to individual and group safety, Trikke STL reserves the right to alter tour routes and stops without notice.